Located in Balboa Park, just a few minutes from downtown San Diego, the San Diego Natural History Museum is one of our favorite San Diego event venues. Dedicated to “interpreting the natural world through research, education, and exhibits,” theNAT provides corporate event attendees with a unique and interactive venue that will set your event apart from the rest. Our team of professional event managers have the experience necessary to help you choose the right event space within the museum. We’ll work with you every step of the way as your behind the scenes event partners, producing a one-of-a-kind corporate event that matches your company’s brand and goals. With several different event spaces, the San Diego Natural History Museum can accommodate smaller intimate groups or larger groups of over 1,000 guests, making it a versatile choice for your upcoming corporate dinner, meeting, or reception. Sefton Atrium (270 seated guests; 500 standing) – Offering a translucent ceiling and 5,000 square feet of event space, the Atrium comes complete with a second-story space that can be used to accommodate an additional 300 seated and 800 standing guests. El Mirado Rooftop Terrace (100 seated guests; 200 standing guests) – This outdoor space features a gorgeous view of the downtown San Diego skyline, San Diego Bay, the mountains, and Balboa Park. Charmaine and Maurice Kaplan Theater (300 seated guests) – Perfect for speakers and educational sessions, this 3,800 square foot theater is complete with state-of-the-art acoustics and a large 3D screen. J.W. Sefton Boardroom (up to 30 seated guests) – Perfect for small breakout sessions or meetings, this 1,500 square foot boardroom offers state-of-the-art AV equipment and an elegant feel. Fossil Mysteries Gallery (300 guests) – Offering fossils of dinosaurs from 75 million years ago, the fossil gallery provides a unique setting that is sure to wow guests. Coast to Cactus in Southern California Gallery (200 seated guests) – An interactive exhibition, specimens, live animals, and “innovative media,” combine to wow event attendees for a fun reception or formal dinner. Meeting Rooms – TheNAT also has four different meeting rooms/educational classrooms that are located near the atrium and can be used as breakout rooms for smaller sessions. An award-winning San Diego event management company, we will assist you every step of the way. 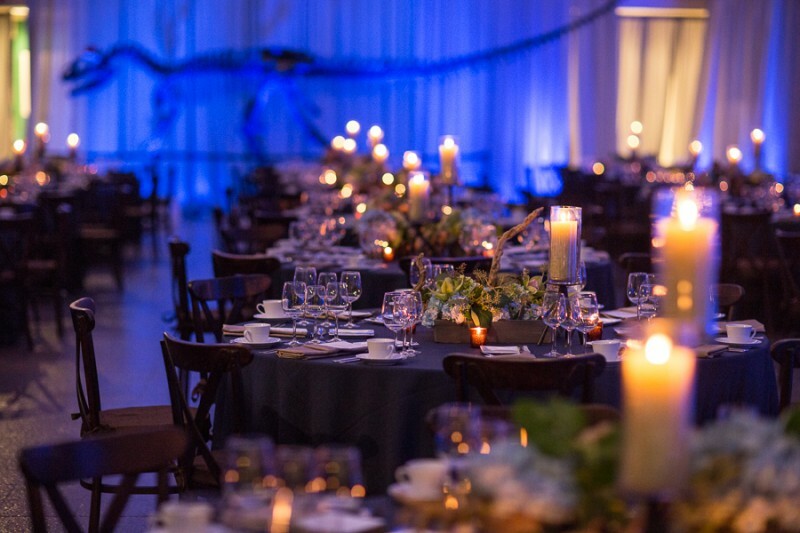 The OTS team will handle everything from initial planning and logistics to transportation to dining to production, ensuring your event runs smoothly and leaves a lasting impression on guests. 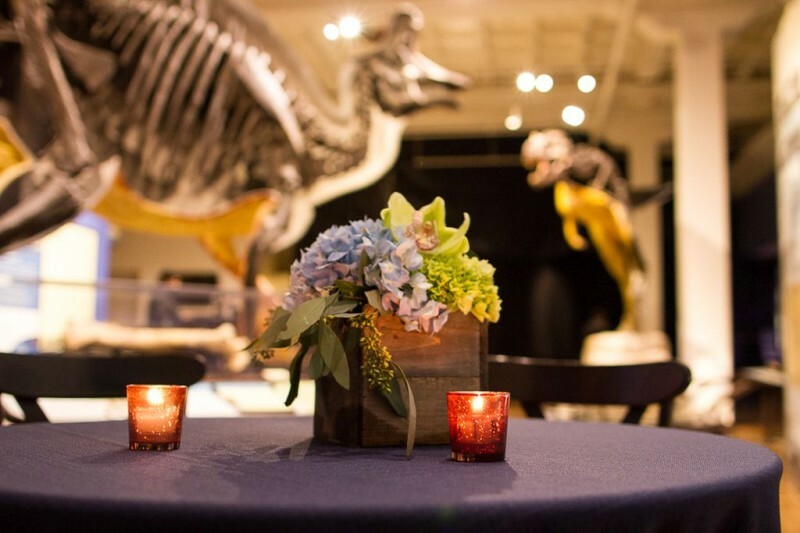 Interested in hosting your upcoming corporate event at the San Diego Natural History Museum? Contact On The Scene today!